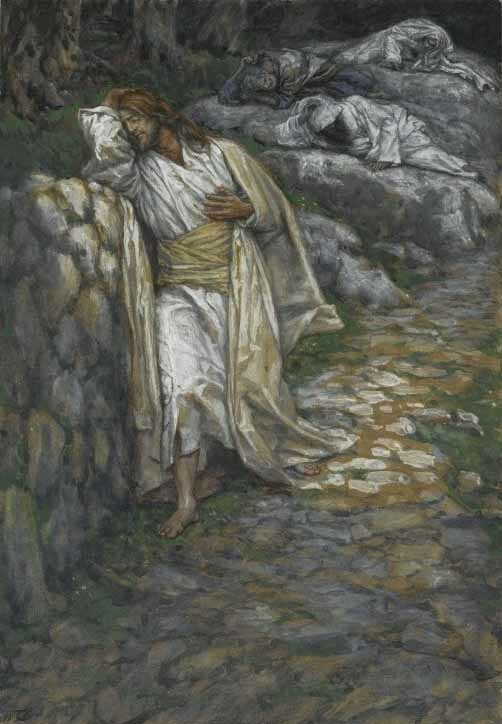 32 They went to a place called Gethsemane, and Jesus said to his disciples, "Sit here while I pray." 33 He took Peter, James and John along with him, and he began to be deeply distressed and troubled. 34 "My soul is overwhelmed with sorrow to the point of death," he said to them. "Stay here and keep watch." 35 Going a little farther, he fell to the ground and prayed that if possible the hour might pass from him. 36 "Abba, Father," he said, "everything is possible for you. Take this cup from me. Yet not what I will, but what you will."